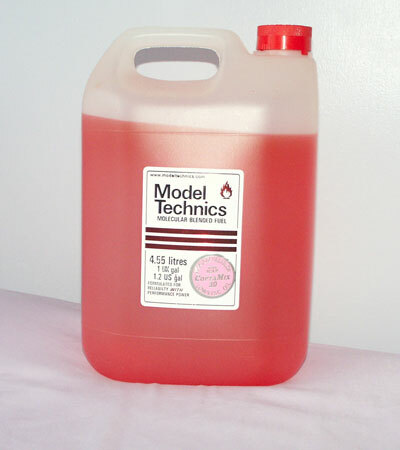 Over the years our chosen fuel has always been from the leading European manufacturer of model fuels, Model Technics. Their fuels represent cutting edge technology at true value for money prices and with reliable, regular availability, who could ask for more? The blends we have used previously include Formula Irvine, Bekra, and more recently ProPower. The latest and by far the biggest development of nitro based fuels in recent years is the new CoptaMix. This is the culmination of considerable effort in research, development and testing, and deservedly places CoptaMix high amongst the very best of model fuels available today. Phoenix Model Aviation Ltd. are proud to be associated with Model Technics, a prominent cutting edge manufacturer of model fuels. We are delighted with the new and innovative model fuel, CoptaMix, having had great success with it in many different model / engine / exhaust combinations. It is our experience that this fuel will make models run smoother, more consistently, be more responsive to throttle commands both manually and through an engine governor and with more power. Furthermore, it has also not escaped our attention that not only does the new HeliGlow oil maintain standards of engine wear and bearing life comparable with other leading brand fuels, but actually exceeds them. We use it in all of our I/C models, training, demo and otherwise and highly recommend it to all of our customers. We generally keep good stocks of all nitro content versions which are always available for sale. After many months of testing in our R&D Department and hundreds of hours flying to the most exacting standards, we are pleased to announce the arrival of our CoptaMix Helicopter Fuels. CoptaMix contains ‘state of the art’ Oil by America’s leading manufacturer of model engine lubricants (Klotz) plus Ignition and Combustion additives by Europe’s leading manufacturer of model fuels (Model Technics).You can’t get much better than that ! Why do we have 18% HeliGlow Oil in fuels containing 5%, 10% and 15% nitro and 19% with 20% nitro and 20% with 30% nitro? The answer is not that extra oil is needed for the lubrication with very high nitro contents. The extra oil is there to act as a coolant i.e. it goes into the engine cold and comes out hot. With extra nitro the engines can be set to give more power, which in turn produces more heat, 19 and 20% oil were found in testing to give the best balance between power and temperature and therefore the best all-round performance with reliability. If an engine is setup on another manufacturers fuel, will the setting have to be changed when going over to CoptaMix? The answer is very little or not at all, so long as the other fuel has similar oil and nitro content. But, here you must be careful. We mix our fuels by volume Some manufacturers mix their fuels by weight, (though they might be evasive when asked) we would describe that fuel as having 24% nitro, 18% synthetic oil and 58% methanol by volume, due to the large differences in Specific Gravity of the three constituents. So, if in doubt, be prepared to change engine settings.